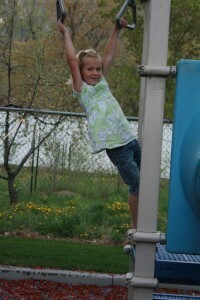 For the last several weeks, my daughter has been on a mission to conquer the monkey bars. With 5 soccer players, we’ve been at plenty of playgrounds in the last 8 weeks (when it wasn’t raining or snowing) and she’s been practicing at every one. At last, she came running to me this week to announce that she did it. Naturally, we had to have a little monkey bar show for Mom to celebrate the moment. 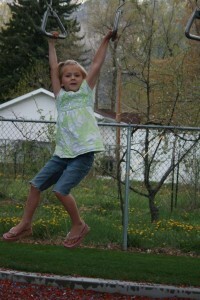 As I watched her display her new skill, I pondered for a moment the weeks of trying that built up to this. I thought about how she refused to be discouraged every time she didn’t make it. Instead of thinking about her failures, she continued to focus on how badly she wanted to do it. And she believed she could conquer those monkey bars. Little wonder that she was so triumphant when she reached her goal! I know that in the big scheme of things, the monkey bars are a non-issue. 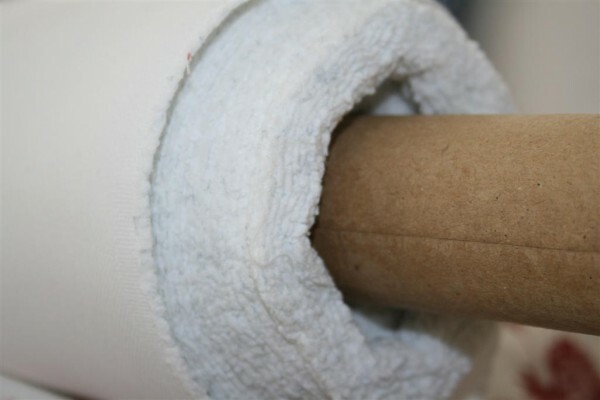 When she’s all grown up, it won’t matter that she did this. But in a way it will. It matters that she accomplished something that was important to her. It matters that she knows she can try hard things, work at them, and then do hard things. It matters that she knows she can do a hard thing and make it fun. I wondered what kind of monkey bars I’m struggling with right now. Some of my monkey bars are things I want desperately to learn; others I would probably never seek. 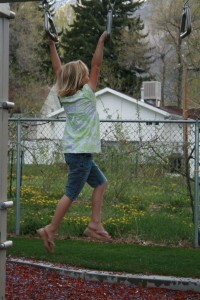 But whether our monkey bars are chosen or thrust upon us by the realities of life, we are just like my daughter. We can try hard things, work at them, and end up not just doing them, but having a great time. Isn’t it wonderful to have children on earth with us, to remind us of the lessons of life in such simple ways? I had a funny thing happen to me last week. I had a few minutes before I needed to pick up from kindergarten, so I took my two littlest with me for a quick scan of the thrift store. I have learned to trust my instincts regarding lines, proportions and overall style so it only takes me about 5 minutes to walk the entire “as is” part of the store and see if there’s anything fabulous available. 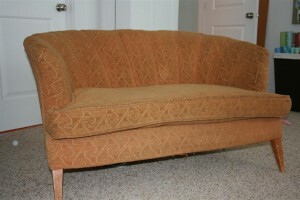 In the next few days it will be slipcovered in white fabric, sitting in front of my fireplace. Watch for the final product! Oh, and here’s the funny thing about this whole story. At our store, in order to buy a larger item, you find an employee and fill out a little “sold” tag that has your name and phone number on it. They tape one copy of it to the item and you take the other copy to the register. After you pay for the item, you go back, show them your receipt number, and they pull the piece to store in the back, where you go to pick it up. Apparently, while I was in line at the register, another woman decided she wanted the settee. She wrote down my name and number and spent the rest of the day calling me to see if I would sell it to her. I got home later in the afternoon and had the funny experience of someone begging me for a beat up old thing I’d purchased from the thrift store! I had to chuckle a little bit. And, by the way, I told her if I hate it she can have it. But I’m pretty sure I’m going to like it. I suppose there’s nothing that will boost your confidence in your thrift store shopping taste than having someone track you down like that. Ha Ha! 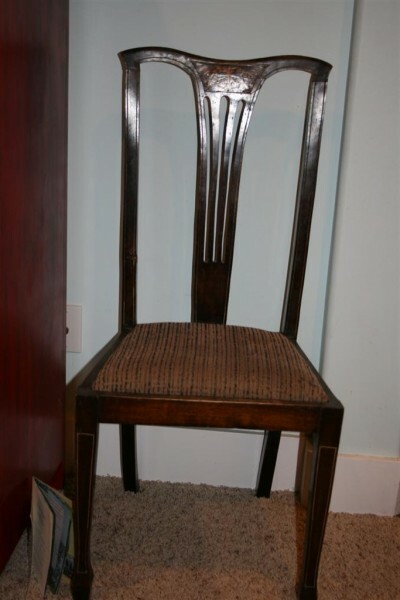 So, I have a theory about chairs. I’ll acknowledge that it’s likely because I have a large family, and therefore need more of them, and because I know that children tend to thrash them, especially the chairs around the kitchen table. So, I don’t buy them new. They’re so expensive! When we finally bought a new kitchen table that would seat all of us, I was stunned at how much money it would cost me to buy ten new chairs to go around it. Not only was my checkbook cowering at the number, I couldn’t stomach it. So I started hitting the thrift store and snatching up chairs. A few months ago I found this old chair. It’s incredibly sturdy, and I liked the look and lines. 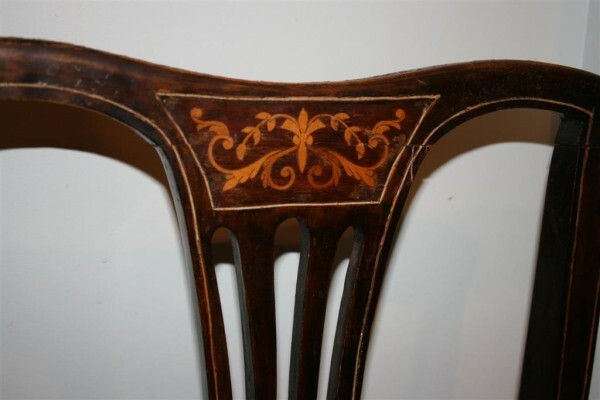 I especially liked the design on the back of the chair. I don’t usually love dark wood, but this is an exception. But I hate the seat. 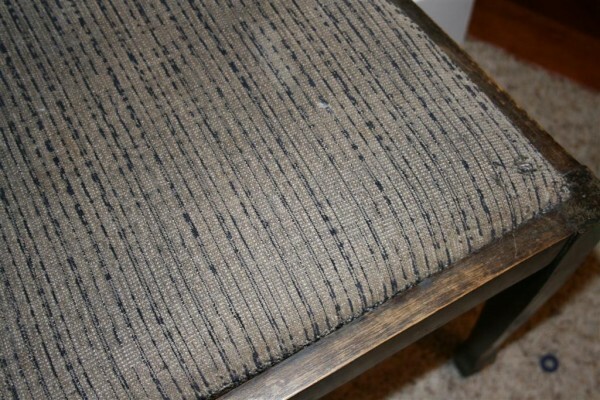 The fabric is old and yucky, but I wasn’t in the mood to take the chair apart and re-cover it. Not that it’s difficult to do; I just didn’t want to tackle that today. So today I was in the mood to do something quick and creative to add a bit of style to my chair. 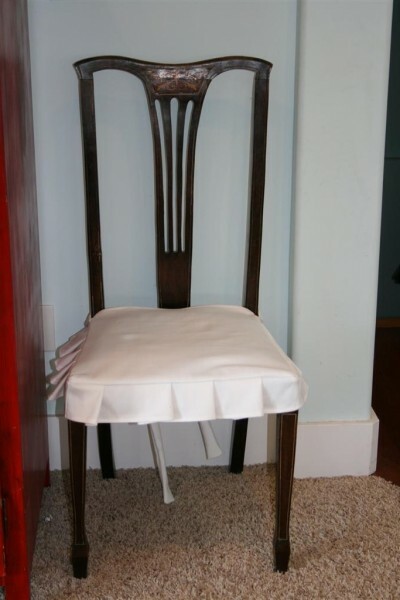 I settled on a chair cover. You’ll learn that white is my go-to color, and I whipped out the bolt of white fabric I keep in my sewing room for projects such as this. Now, let me list a few things you will quickly learn about me and the way I approach projects. First, I am not a pattern person (except when I am quilting). I don’t have the patience. I do measure carefully, but I am comfortable with imperfection and prefer to just dive in. Second, I am a mother, not a professional. I’m not afraid to slipcover a chair, a couch, and so forth. I have enough confidence to do it, but I’m sure professionals have tricks and tips that I don’t know. I am busy raising kids and I usually have several helpers, so my goal is to achieve a look that I can be satisfied with while openly acknowledging that I am an amateur. So, with the above disclaimers, let me share with you how I went about sewing a cover for my chair. First, I measured the dimensions of the seat and cut a piece of fabric the same size. 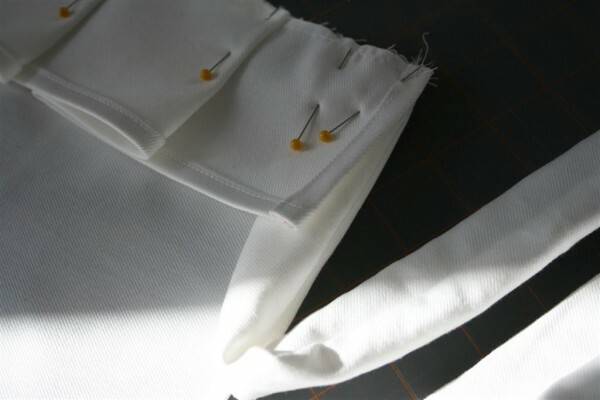 I then cut two strips of fabric long enough to use as ties in the back, and I cut three strips of fabric 4 inches wide that could be sewn together to make a pleated skirt around the seat. 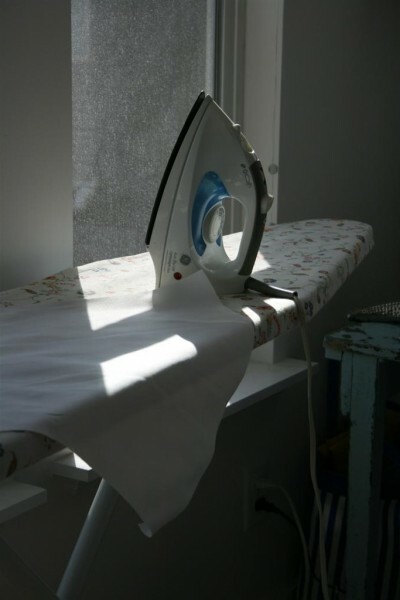 I decided to turn the hem under twice to be sure no unraveling will ever happen, and I do believe that taking the time to iron first makes everything look much better! After ironing, I carefully sewed together the three strips of fabric for the pleats, and then carefully stitched all of the hems. 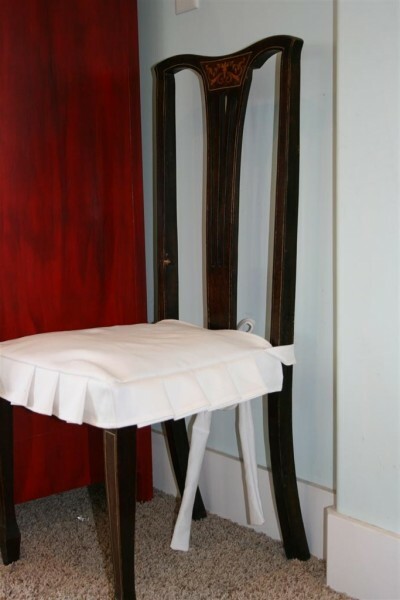 I was left with four pieces of fabric: two ties, one very long piece for the skirt, and the largest piece which covers the seat of the chair. 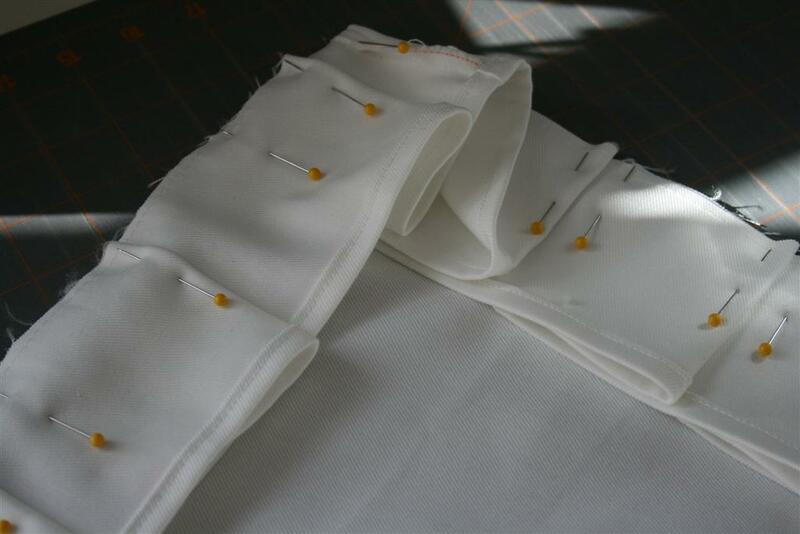 I laid them all out, putting right sides together, folded the skirt into pleats, and pinned it together. This meant I only had one seam left to finish the entire project. 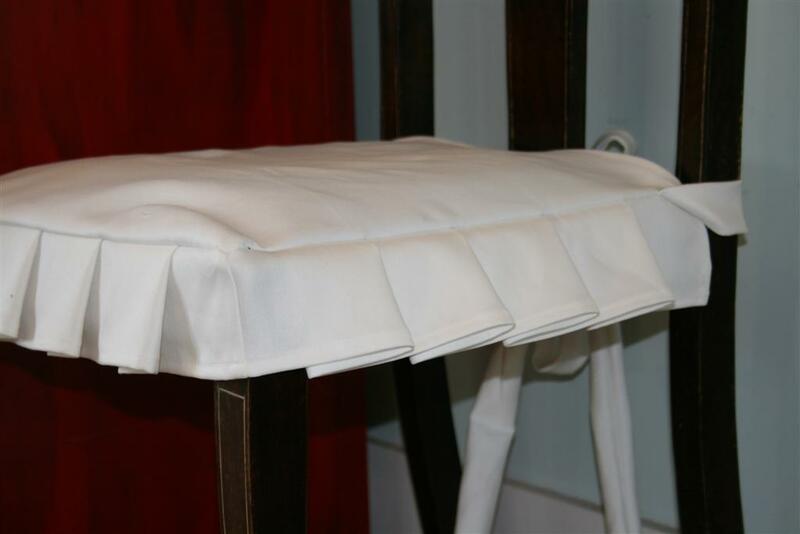 Note: when arranging the pleats, I decided to have the two seams in the skirt fall on the corners so they would hang well and look more tailored. I also pinned the two pieces for tying the skirt to the chair. I placed them at the ends. With the pinning done, I could sit down at my sewing machine, sew a seam around three sides, and walk directly to the chair to tie it on! Ta Da! One chair with potential just became something much more pleasant to look at, not to mention the fact that it now looks much more at home in my family room. This entire project took me less than one hour to complete. 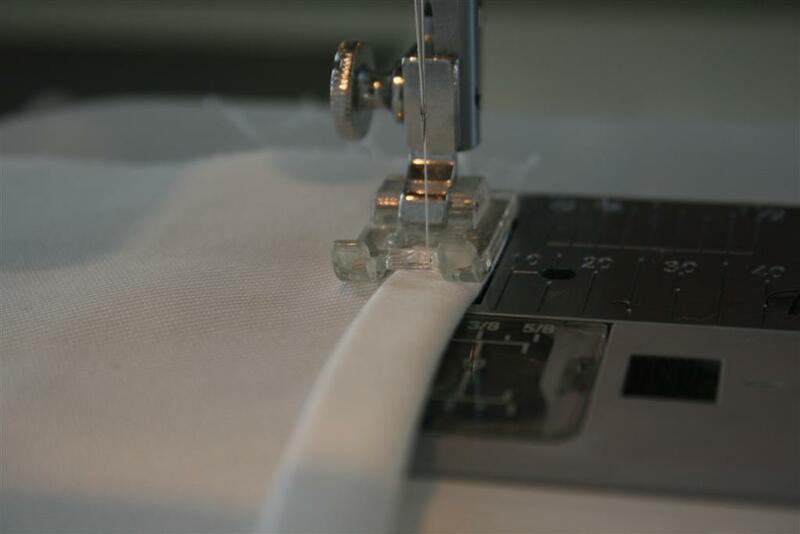 I was using 54″ wide fabric, and at that width I used only about 2/3 a yard of fabric. At $3.99 a yard, I just made a chair cover for under $3.00! Is it perfect? No. I would do a couple of things differently next time, like make the ties a bit shorter and much wider. But it’s done, the effect from a few feet away is one I’m happy with, and I’m also pretty confident that nobody is going to notice or point out the things I know are wrong with it. So pick a chair, choose a bit of fabric (or raid your stash if you’re like me) and have some fun! At $3.00, you can afford to experiment!